Global French, spoken from Montréal to Montreux, is diverse and rich in culture. Want to immerse yourself in the language right from home? Put your skills to the test with these top movies, shows, music, podcasts, and more—handpicked by our team. Rock out like a Francophone and jam to classics by Indochine, Fauve, and Louis Attaque. Tap your feet to the vanguard artists of the French pop scene. Upbeat, fun, and sweet–perfect for a positive morning commute. Explore French rap: it’s world-famous for a unique sound and powerful style. The smart and funny hit French spy series. Political drama meets gripping suspense. Documentarian Yann L’Hénoret chronicles the victory of French president Emmanuel Macron. A thrilling Belgian detective show that will keep you glued to the screen. A biopic of the legendary French fashion designer. For news junkies. Political scientists, analysts, and diplomats examine geopolitics. Native French speakers explore their language and provide useful lessons. Radio France Internationale dives into the hard-hitting news of the day. 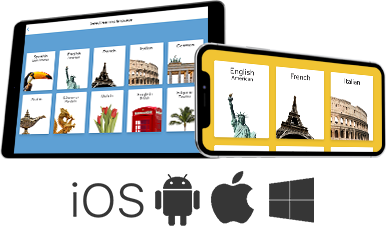 Ready to start your French journey with Rosetta Stone? Start now. Note: The listed content does not necessarily represent the views, values, or any endorsement of Rosetta Stone. It is intended for educational and entertainment purposes only.